We would like to share with you about the opportunity to get involved with an exciting Passion Play taking place this year in Birmingham. 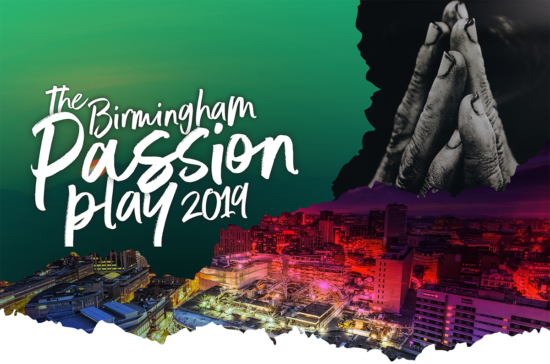 The Birmingham Passion Play will take place on the streets of Birmingham city centre over Easter weekend as a huge declaration of the incredible story of Christ’s death and resurrection. The play is being organised by Saltmine and will involve many different organisations and churches from the whole of the West Midlands. They are currently looking to recruit volunteers for the community cast, choir, musicians and stewards along with sponsorship from churches, organisations and business.